I am a daddy’s girl, a mother, a sister and a friend. I love to laugh, shop, eat and spend time with my family. I work full-time, am pursuing my degree as well as raising three children. I am still growing and learning about myself despite going on 40 in the near future. My hair journey has had ups and downs, but perseverance, patience and my PJism have kept me happy and nappy! First, let me start by putting it out there, I am bi-racial and my sister and I were raised by our daddy. So, you can imagine what our hairstyles looked like. Don’t get me wrong, he did his best and our hair was neat, but parts weren’t the straightest and there wasn’t a lot of variation to the styles we rocked to school. Once we were pre-teens, we would get the press and curls. But between the “bees stinging” me in the back of my head and sweating it out, they turned out to be a waste of time and money. Fast forward a few more years and I got my first perm when I was 15 and I loved it. My frizzy, bushy hair was bone straight and finger-waves were smooth … oops, we’ll save that for a throwback post. Aside from having to get touch-ups, which I really only needed them every 6 months or so, oh and the occasional scabs (but that meant the perm took, right? ), I didn’t really have any issues with the creamy crack. Keep in mind my “hairstory,” I never learned to do my own hair nor ever had anyone to show me how to take care of my hair. So, I had nor have any hair skills. I have two boys who wore cornrows and both had two textures of hair. My oldest has looser texture of curly hair and my middle son has thick, coarser hair. They both had major hang-time. But, funny enough, my son with the thick and coarser hair has significantly more hang-time than his older brother with the easier to manage hair. Fast forward again, here comes my daughter that was born with a head full of straight hair that grew and curled and curled with every milestone. 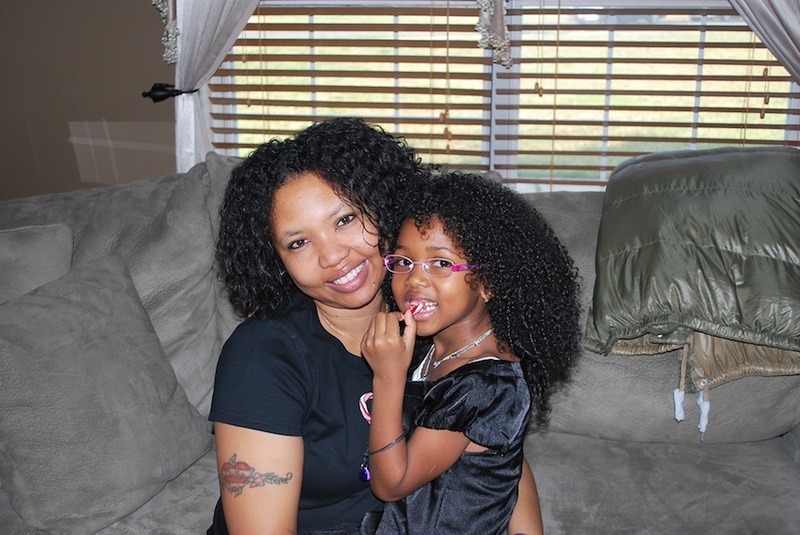 One day I was researching Mixed Chicks and Miss Jessie’s products and reading the owners bios and it got me thinking about my own hair and if I had curls anything like my daughter’s – I don’t … lol. My initial plan was to get an inch cut every 6-8 weeks, but I wanted desperately to see my curl pattern and couldn’t with the permed ends. So, ended up only transitioning for 6 months before I BC’d. I inadvertently BC’d in February 2010. 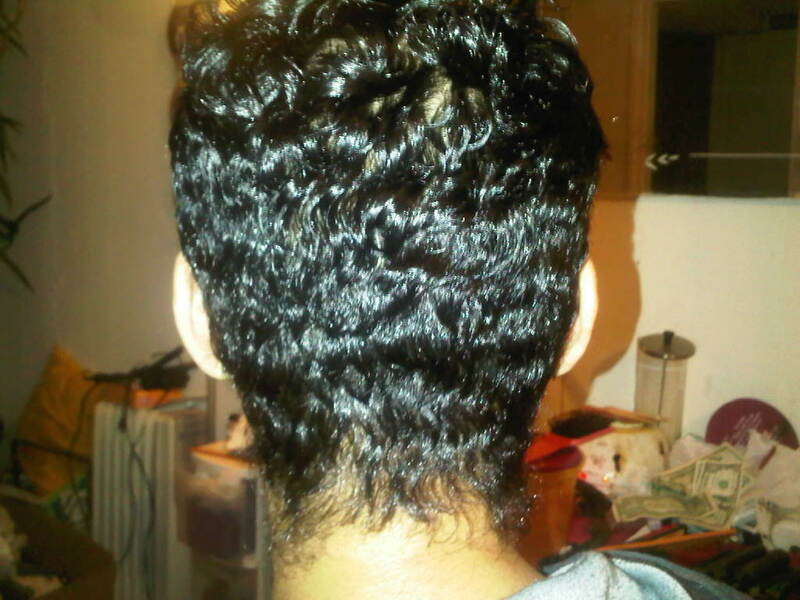 A friend of mine was wearing her hair in a short cute cut that was styled sometimes (looked permed to me) and she could wear it curly other times (looked natural to me). I asked her how and she explained she had a texturizer that allows her to wear it both ways … oh, I was very intrigued! 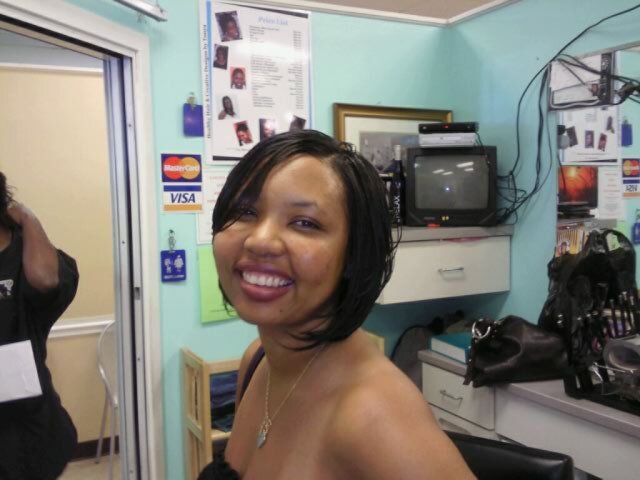 I was wearing a bob with a bang when I started to trim and transition, so I knew that at least the length of my bang was perm-free when I went to my friend’s stylist. I sat in her chair and she asked me if my hair would curl and I didn’t know. She then asked how I wanted it cut and I said that I wanted the remaining perm cut out of my hair and she said, “Do you want a style or just the perm cut out?” … wth? “I want a style.” Well, she interpreted that to mean it was carte blanche to cut me darn near bald, hence my BC! The cut was cute, but aside from letting her or a licensed stylist curl my hair, I had no idea how to maintain it or even wear it curly like my girlfriend. B-U-T-C-H is how I felt afterwards! I am not a big accessories girl. I pretty much wear the same studs day in and day out, lipgloss or lipstick if I’m feeling a lil’ glam. A TWA for MOI was not the most feminine look on me. My family liked when I got it done, but to wear it au natural was not their fave look for me. 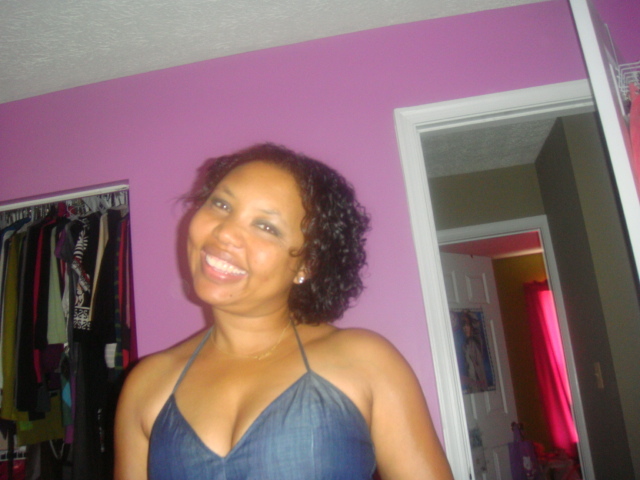 My sister called it a Jheri curl and my daughter said it looked awful – “Mommy, don’t you want long hair?” I made a promise to myself to stick it out and to learn and work with my natural hair for at least one year. And, if I still felt uncertain about it, then I’d get a texturizer, but not a full-blown perm, and wouldn’t revisit going natural ever again. Well I am rearing up on Year Two and I’m L-O-V-I-N-G it! Thank God for the internet, internet shopping and faith! There is a wealth of information that wasn’t readily available when I was growing up and definitely not the products to manage and maintain natural hair. I obsess over YouTube videos, Curly Nikki’s blog, which featured Shelli (for a Henna post I think), and I am now stalking Hairscapades, Kimmaytube and KinkyKurlyQueen (just to name a few) and all the dang products that pass their lips. My current regimen (if you can call it that) is ever evolving – lol. I’m still growing my hair out and as it grows longer the same products just don’t work the same anymore. HENNA is my BFF&EVER – I henna once a month and I’m going to start doing Henna glosses instead of full blown henna sessions to see if there’s a difference for my hair. Depending on the season and/or style, I co-wash 2-3 times a week and ACV rinses at least once a month. Products I use to condish are Organix Coconut Milk, Aussie Moist, and HH HE. For WnGs, I use Aveda Be Curly, Samy Big Curls Curl Crème or Tresseme Curl Milk. Ouidad just had a fab sale (4 full size products, a widetooth comb and 6 hair clips for $29!!!)! I’ve been wanting to try her Climate Control Gel and Moisture Leave-in, so I can’t wait to try those out. My leave-in is KimmayTube’s Leave-In recipe!!! 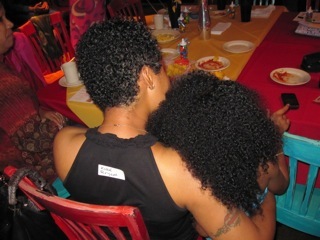 And, most importantly, my curls love a white t-shirt; no towels in this head! My first and foremost goal is H-E-A-L-T-H-Y H-A-I-R and maintaining it! Secondly, I want to learn and master some protective styles and I DESPERATELY want to learn how to do a TnC!!! I’ve had nothing but major fails with mine. I’ve tried the flat twist, the chunky twist, dry twist, bobby pins … ugh.com!!!! Ultimately, I want waist length hair. 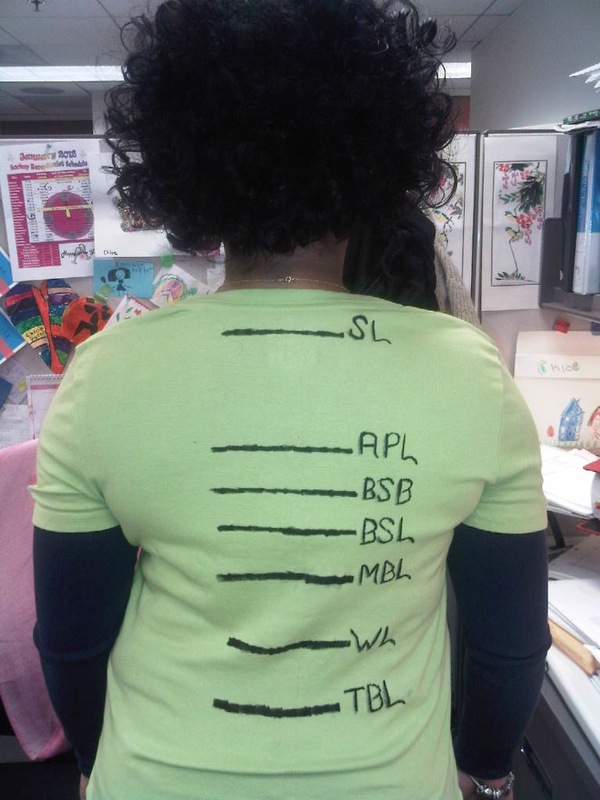 My friend (who just started her natural hair journey) just made my Hair Growth T-Shirt (I love it) and I was surprised to see that I had passed Shoulder Length! I guess I have two if I’m understanding what a “Hair Crazy” is (is this in the lexicon Shelli??). 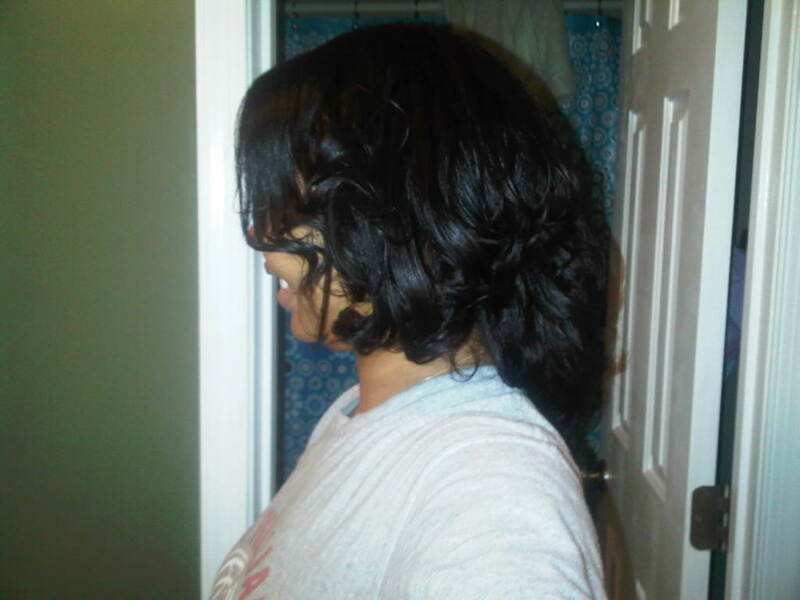 First is, some of my ends are straight, no amount of scrunching, clumping, wishing and hoping will make them curl. And my other is I want an AFRO PUFF *stomping and pouting*!!!! I know, be grateful for the curl you have, but man, nothing beats a big ole fluffy Afro Puff!!! Of course I do! My most recent hair crush (thanks SHELLI) is the Wonder Curl lady … the color the curl … drool, dribble, drool! 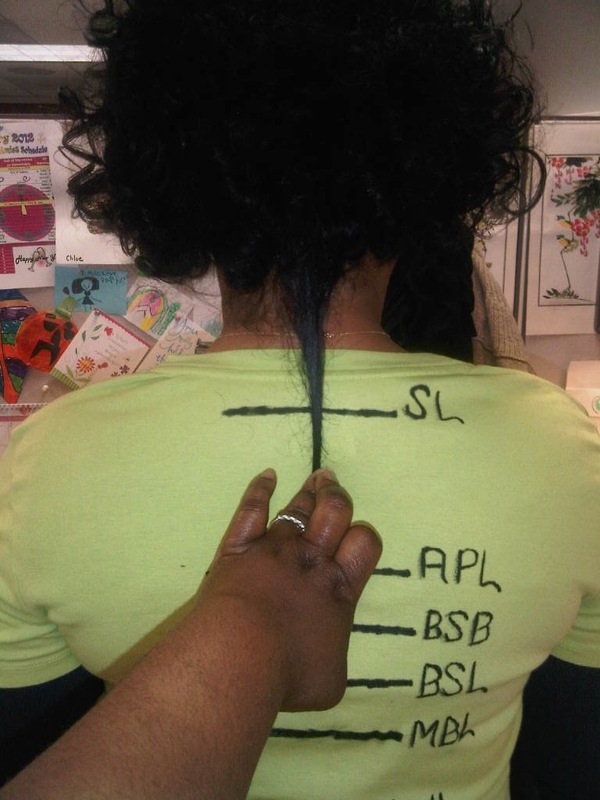 But SHELLI (love your TnCs, length and condition of your hair), CurlyNikki (TnC and the “bigness” of her hair) and Taren916 (she had that volume and did another BC – you go girl!). 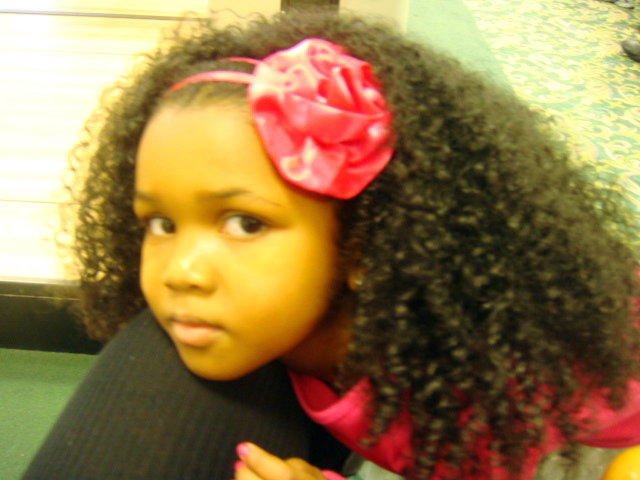 My biggest hair crush of all is my daughter! 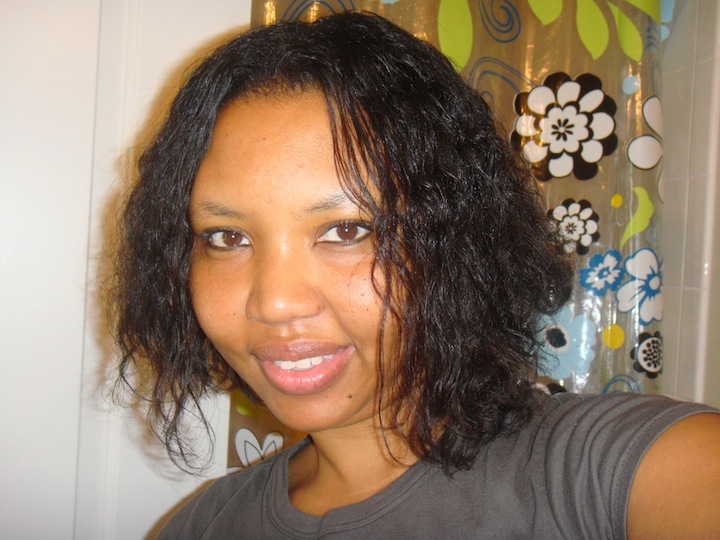 Natural bloggers – just two, Curly Nikki because, without her, I would not know Hairscapades!! This may sound corny, but definitely has been a lesson learned and given to you heartfelt … patience is vital (I guess that’s why it’s a virtue). Every curl is not the same (even the ones on your own head) and while you are stalking and obsessing online at the brave women who have shared their journeys with us, look first at where they began and not just where they are at. A lot have been on their journeys for years, if not all their lives, so their volume, length and/or knowledge base usually has a huge jump on your own. Great hair story. Your daughter’s hair is gorgeous! Omg her little girl is beautiful. Thank you Kim and Tiffany! you are too funny. both you and your hair are beautiful. i looooovvvee your daughter’s hair, she is so beautiful. pleeeeze continue to take extra special care of her hair too. my daughter who is 7 would have heart palpitations if she saw your daughter’s hair. she loves big hair. Michelle’s baby is beautiful and has gorgeous hair. Ladies I let my baby read your kind words and she was just tickled pink! Thank you Erica and Sophia I vow to take extra special care of her hair! Sha let your little girl’s curls hang and be free!!! It will teach her how to appreciate her hair and how to start to take care of it, #1 rule keep your hands out of it and EVERYONE elses hands too! Kara, I had to wait until shelli posted her surprise…my baby’s regimen is up now, thanks for inquiring! Both an interesting story / journey as well as description of the reaction to the big chop, but I suppose to each her own. 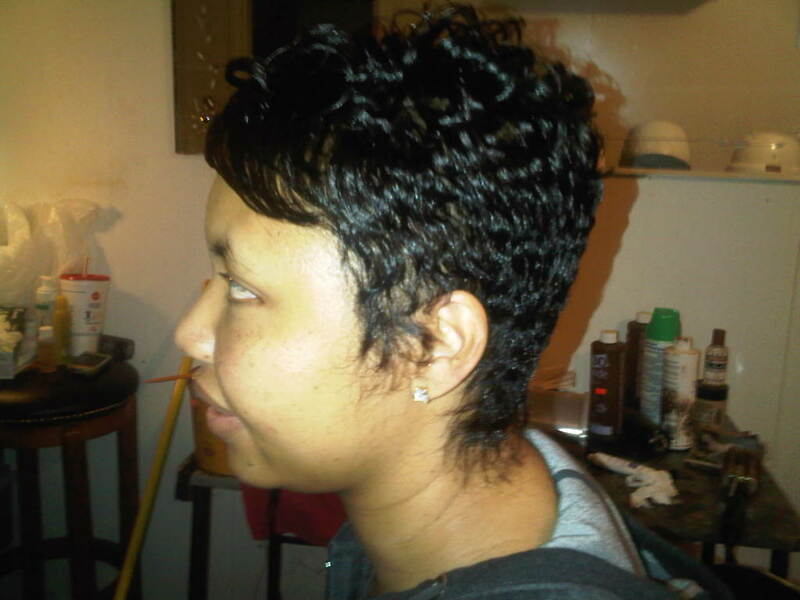 I don’t know why she thought she looked funny with that short cut because its one of the BADDEST short cuts I’ve ever seen! I LOVE IT!!!! I love the pic with she and her daughter’s curls side- by side! She and her daughter are beautiful and I love the daughter’s glasses! Please don’t let your daughter ever perm that beautiful crown and glory! God Bless!